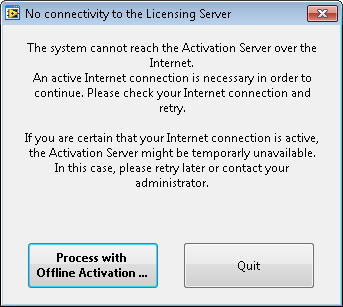 •If the product is not able to connect to the Licensing Server, your end-user will see this popup window. •He must click on Process with Offline Activation... to complete the activation without connectivity. 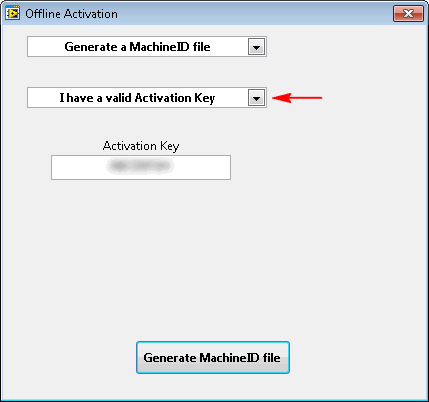 •The end-user has to generate a MachineID file that will be sent to you for remote activation. •If the user has a valid Activation Key for this product, he must select this choice and enter it in the designated field. 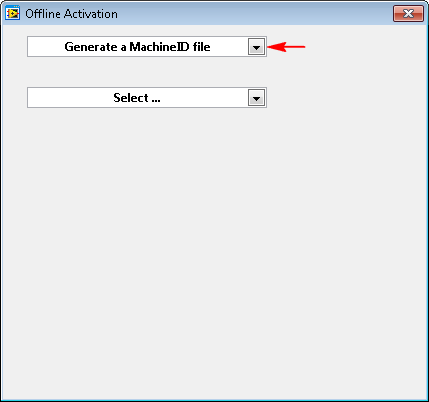 •Then click on Generate MachineID file. •If the user doesn't have a Key and if your product policy allows it, he must select I want a Trial License to request an Offline Trial License. 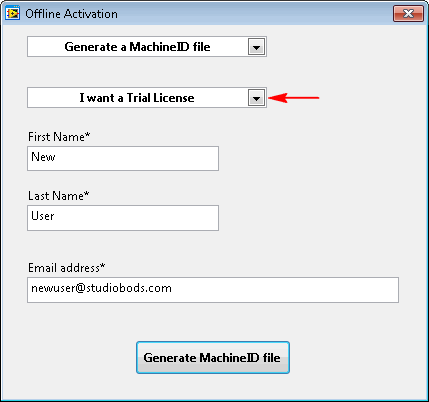 •After filling the First Name, Last Name and Email address, click on Generate MachineID file. •Save the file on your computer send it to your software administrator for Offline Activation. See here how to Process the Offline Activation in BLT. •Select Install a License file and specify its path. 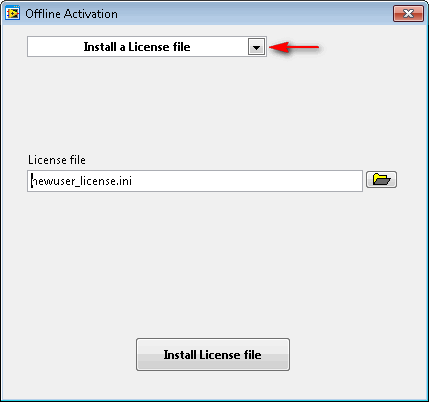 Then complete the process by clicking on Install License file.